More than two years after the crime, a man pleaded guilty Friday to the brutal first-degree murder and attempted robbery of a 74-year-old residential hotel manager and was immediately sentenced to 29 years to life in prison. Deputy District Attorney Angela Jordan said Jian Hong Li, 41, admitted using a deadly weapon, a meat cleaver, when he attacked and killed Hideko Oyama, the manager of the Chetwood Hotel, on Jan. 5, 2010. Li, an immigrant from Hong Kong, had been living for several weeks at the hotel in the 400 block of East Fourth Street, just south of Little Tokyo, when he decided to rob the hotel’s manager. After killing her, Li fled without any money, Jordan said. A tourist at the hotel later discovered the elderly woman on the floor of her office, still able to talk but mortally wounded, and called police. An investigation led to Li, who checked out of his room the same day the body was found. Li was found a week later while walking on First Street, just east of the Los Angeles River, after police followed leads from Los Angeles to Camarillo. 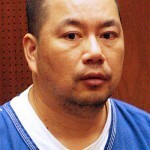 Li was sentenced by Los Angeles Superior Court Judge Ronald Rose. In exchange for his plea, prosecutors dropped the special circumstance of murder during a robbery, which meant Li did not face a sentence of life in prison without the possibility of parole. 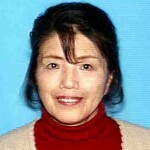 A native of Yamagata Prefecture, Oyama moved to Los Angeles with her husband and daughter in the late 1960s. In the ’70s, she struggled financially, separated from an abusive husband and cared for her son, who was born with cerebral palsy. After her physical condition forced her to leave her job as a waitress, she took up hotel management, feeling an obligation to assist visitors from Japan.